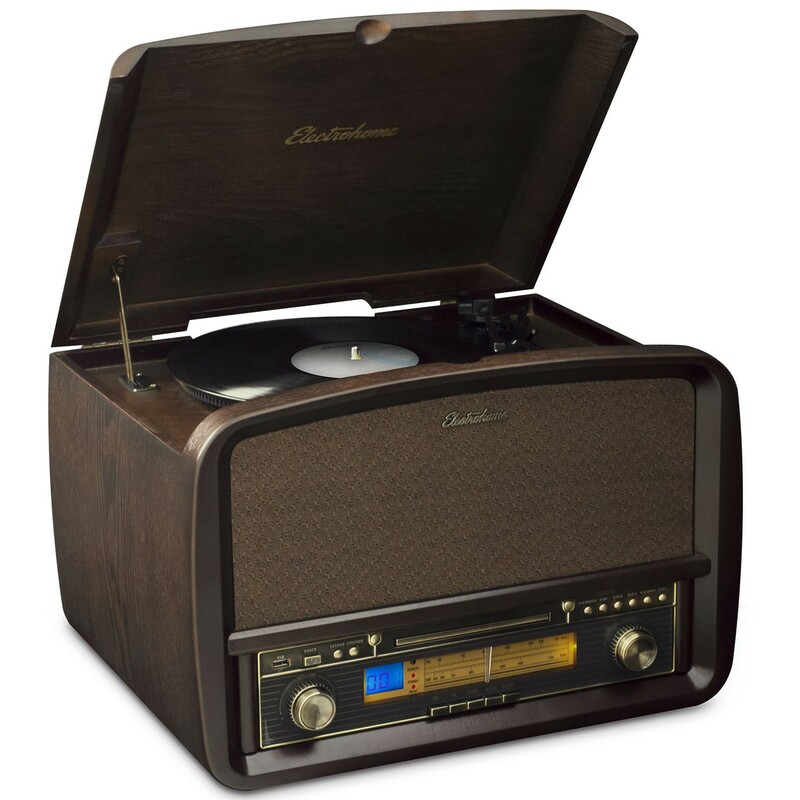 Electrohome Retro Record Players deliver a pure analog sound in an all-in-one speaker system. Enjoying the vintage style of our record players doesn’t mean you have to miss out on modern features and functionality. Listen to your entire music library on not only records but also MP3s, CDs, or streaming music apps from your aux connected smartphone or tablet. Vinyl Record Sizes and Speeds – What does 33 – 45- 78 RPM mean? Whether you have some old records collecting dust in your attic or if you are just entering the vinyl resurgence, Electrohome turntables have all the features and functions required to spin vinyl for a complete analog music experience. Not only do vinyl records offer a more tactile experience vs. today’s digital formats, they also offer a superior analog sound. Analog is known to have a richer and warmer sound that is pure and uncompressed. If you are an audio purist, don’t sacrifice fidelity, drop the needle on your favourite LP and hear the crackle in anticipation of a greater audio journey. It’s not always a simple task to find your favourite album on vinyl. All-in-one record player systems allow you to easily switch between vinyl record listening and enjoying your entire music collection from a variety of sources. In addition to CD and auxiliary playback, Electrohome all-in-one music systems also have an AM/FM radio tuner to enjoy your favourite local broadcast. Electrohome turntables are superbly crafted from wood for a warm and natural sound. 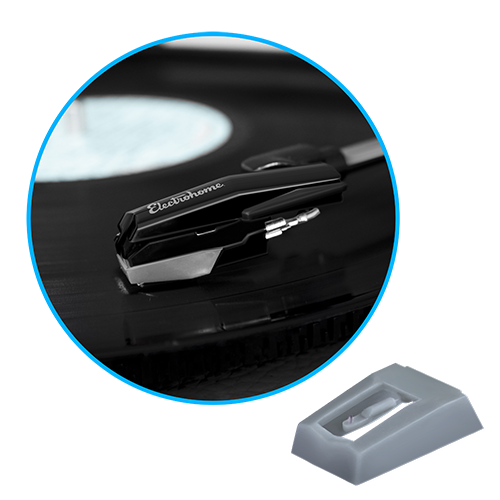 Premium audio components including the conical-shaped sapphire needles allow you to savor your entire vinyl collection and hear details like you have never heard before. Our all-in-one music systems feature a mid-century styling and are designed to be a showpiece in your home that represents your passion, the music.